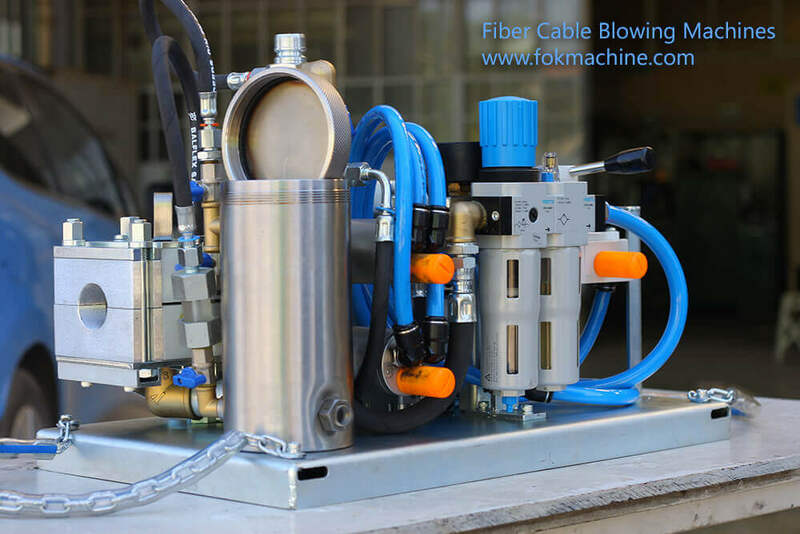 In the age of speed the high speed data connection is a must and proceeding from that concept we can understand the importance of the time for the modern man , as a result of that you must use FOK machine in the process of networking for a secure ,fast and reliable fiber optic cable blowing process. 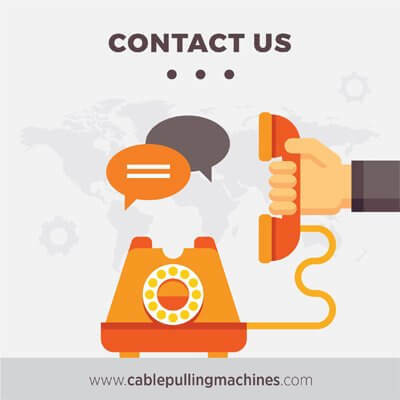 Note: This enumeration is just to classify, that we can produce our machines for different cable diameters. NEEDED AIR FOR ENGINES: 6 Bar-1.6m³/min. CABLE İNSTALLİNG VELOCITY: 0, 30, 50m/min. LAY DOWN power: 80~85 Kg. 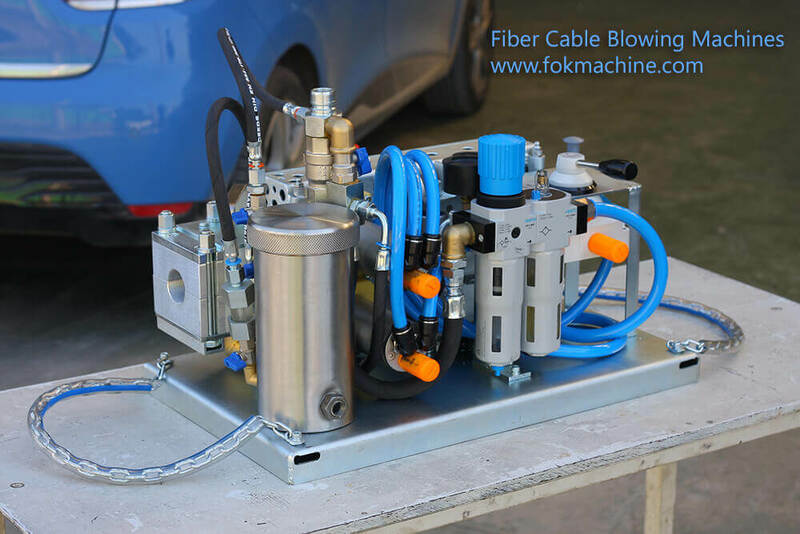 In order to reduce friction between the duct and the cable , you have to transfer oil ( Lubricom-f ) into preinstalled duct with this shock lubrication system . Special designed exit box supplies productive guiding for pressure air into pre-installed duct. Installing the cable in the muddy fields is no longer a problem due to the special designed palettes. And you will not face any retraction in the blowing power . The festo lubrication system extracts the moisture out of the pressured air that comes from the compressor and supplies continuous lubrication for the air motor. 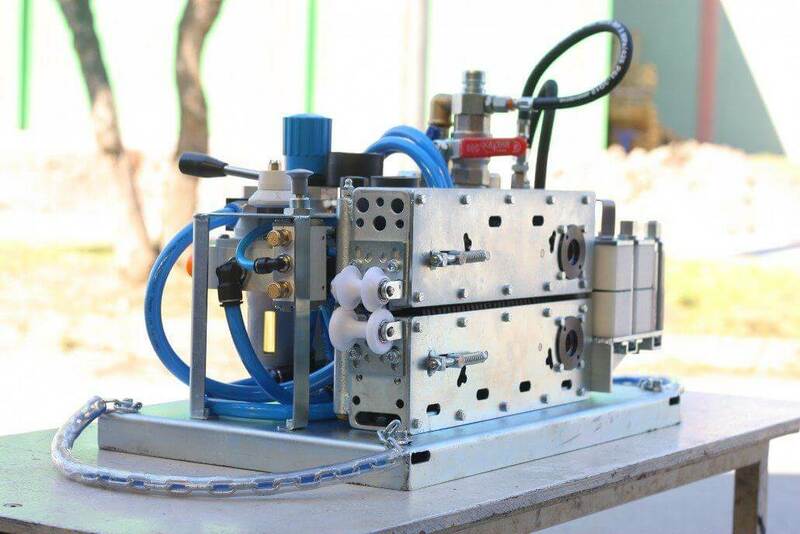 With the control valve you will be able to select the speed and the direction of the cable installing process . 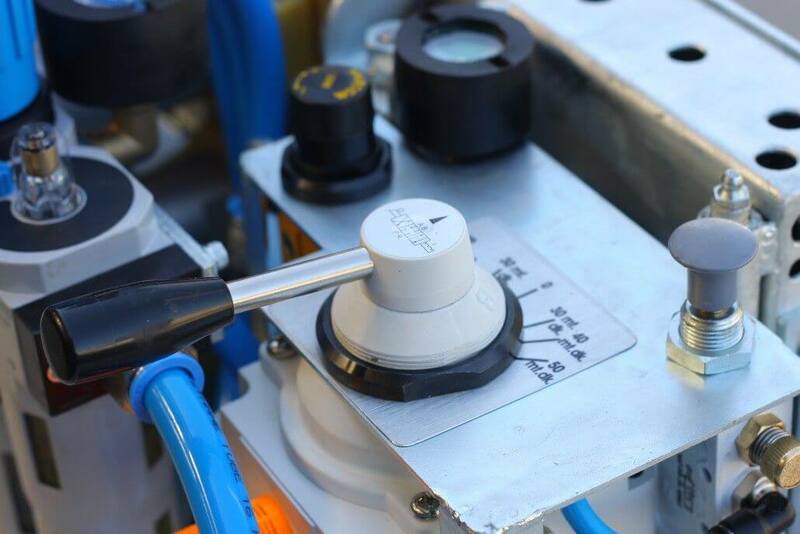 The installing power will never decrease with tow air motors .